So here we are knee deep in Winnipeg Fringe Festival. The weather is nice, the shows are nicer and the crowds are great. It's that time of year when Winnipeg actually looks like a real live city and people descend on the downtown in droves. It's also the time of year when Winnipeg goes to theatre in as many droves. Winnipeg does live theatre and improv and comedy and other performance types all year round, but during the Fringe, everyone knows it and lines up to see. So the clock is ticking on the Fringe and in no time at all the Fringe shows will be just memories... amazing and mind blowing memories. So to ensure that your Fringe memories are filled with mind blowing "show" memories and not mind blowing "I missed all the shows I should have seen" memories. Buy your tickets online now so you are not disappointed. The shows have been selling out very quickly. Also, did you know you can get into the King's Head 30 minutes before the show starts so you can enjoy your nachos and boozy drinks. Another review would be redundant, no? I mean, you already have a five star quote from 2012 on your sandwich board. I stand by it, but we all know you don’t need it to pack the Fringetime King’s Head. It’s not that I can’t think of new things to say. 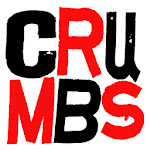 Check this out: CRUMBS implausibly defy the law of diminishing returns. They get funnier each time I see them; their caricatures more deft and their on-the-fly story structures more satisfying. Bam. Reviewed anew. But at this point it’s just gushing, isn’t it? Like your program says, you already have a career 69 stars. Instead I want to thank you here for your contributions to building an improv community in Winnipeg through the Improv Festival and your support for other performers, as well as your own year round shows. It’s important. Oh alright, here’s another five for the stats. If you’re a Winnipegger and a fan of improv, hopefully you’ve already booked your tickets for Crumbs. Grizzled veterans of the festival, Stephen Sim and Lee White are back for their 17th fringe in a row. You don’t sell out fringe shows for that long without being consistently excellent and this year’s show, Made Up Truths, is no exception. They ask brave souls in the audience for a painful or embarrassing secret and then mine it for an hour of comedy gold. Sim and Lee invent a cast of characters and devise stories before your eyes, all with witty musical counterpoint courtesy of DJ Hunnicutt. All these years together has helped them hone their skills to the point that they seem to be communicating telepathically. As with any improv, there are always moments that will fall flat, but Crumbs shows are exceptionally low on filler. What do the Fringe’s best improv performers do with their between-shows downtime? More improv, obviously! This show is a much-loved Fringe tradition, and a must-see for improv fans. The rotating cast guarantees that each show is a wild ride – for the performers as much as for the audience. Some of the performers have worked together for years and know each other’s every cue and rhythm. Some are total strangers, and may have met briefly backstage or in the beer tent. It doesn’t really matter because they all have chops. This is playtime for everyone. The format is simple. Five performers take turns directing the others in five impromptu scenes based on audience suggestions. Survivor-style, the audience votes out the scenarios one by one and the remainders get weirder and wilder. It’s all held together by improvised DJing, and someone in the audience wins a T-shirt. What more could you want? Mix some of this fringe’s best improvisers, comedians and artists on stage and greatness is bound to happen. It’s the solid theory that’s brought the BSIS back to the festival for 16 years under the guidance of local improv master Stephen Sim. It’s hard to review improv, where a play opens and closes each show. It’s harder when a rotating cast of locals (Crumbs, Outside Joke, DnD, etc.) and tourists (Chris Gibbs, Caitlin Curtis, Rumble Pak, etc.) find new dynamics each night. But this much talent can hardly go wrong and at least one bit is guaranteed to rock your socks. The added fun of seeing different groups merge is there in the performers’ smiles and fans’ laughs. 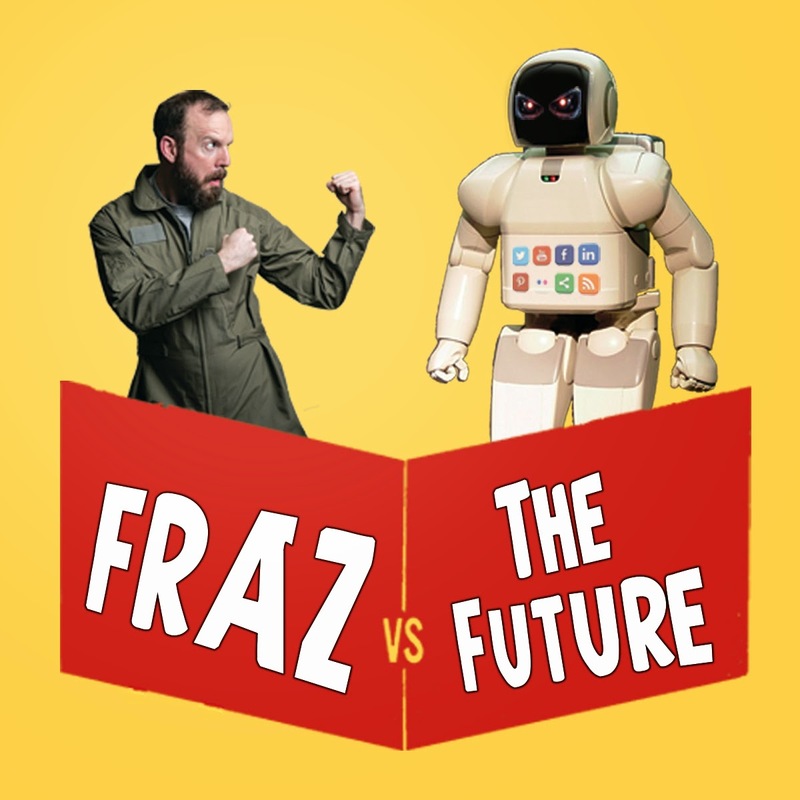 Fraz Wiest delivers up a compelling hour of comedy as a somewhat confused time traveller from the future (but not really) who lectures the present (us in the crowd) on the dangers of social media and other coming perils. From this clever idea comes a patchwork of creative vignettes that vary too much in tone, from melancholy rumination to full tilt stand-up satire. It’s best when it’s funny. The thinky stuff needs more thinking and sharper writing. The performance is exceptional, the direction strong and one day in the future a new revised and smoother script will emerge, turning this show that’s well worth seeing into a bona fide Fringe classic. The improv show with no words! Our friends Felipe and Daniel (from Colombia) team up with our friend Mama Cutsworth and give you this show. Go see it. Here is a picture of Felipe at the Goldeyes games. He is not only enjoying his first ever baseball game, it's also his first ever hotdog shot into a crowd. And when the Fringe is over and we are all soaking in out memories of how amazing the shows were, we can look forward to the Winnipeg IF... Improv Festival. The magic doesn't have to end.